Instant pot rice pudding recipe using white basmati rice and sweetened condensed milk (you can use milkmaid or any sweetened condensed milk) is the one of the most easy desserts you can make. This recipe is very simple to follow and you can add a pinch of cinnamon powder to make it a classic cinnamon flavored white rice pudding or you can add cashew nuts, saffron and a pinch of cinnamon powder to make it an Indian style rich kheer (payasam). 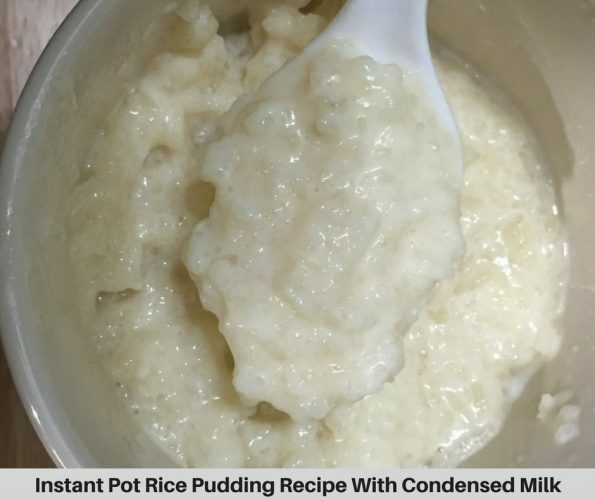 You just mix add the contents in the instant pot, set it for cooking and once its done and the pressure is released naturally, you can just give a stir with the condensed milk and the delicious, creamy and rich rice pudding is ready! 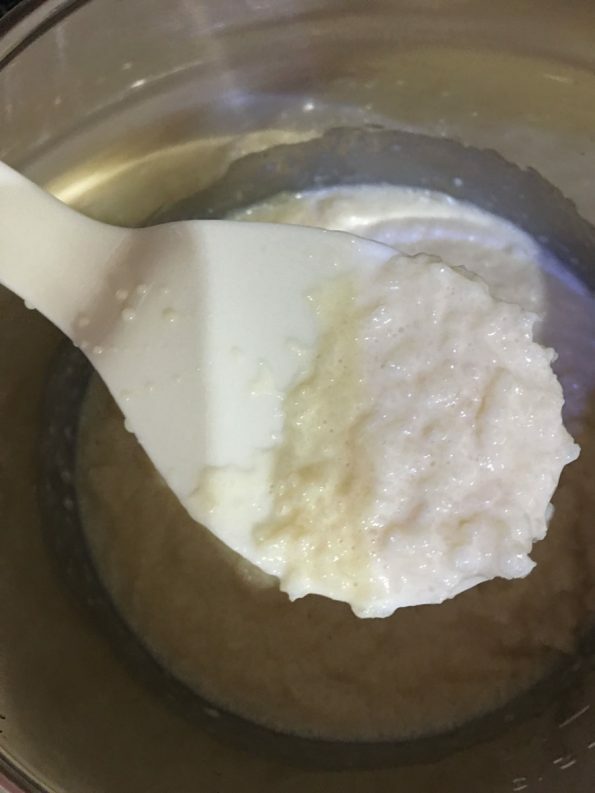 This instant pot rice pudding recipe is so easy and simple and I only used minimal ingredients to prepare the rice pudding and it turned out very delicious. 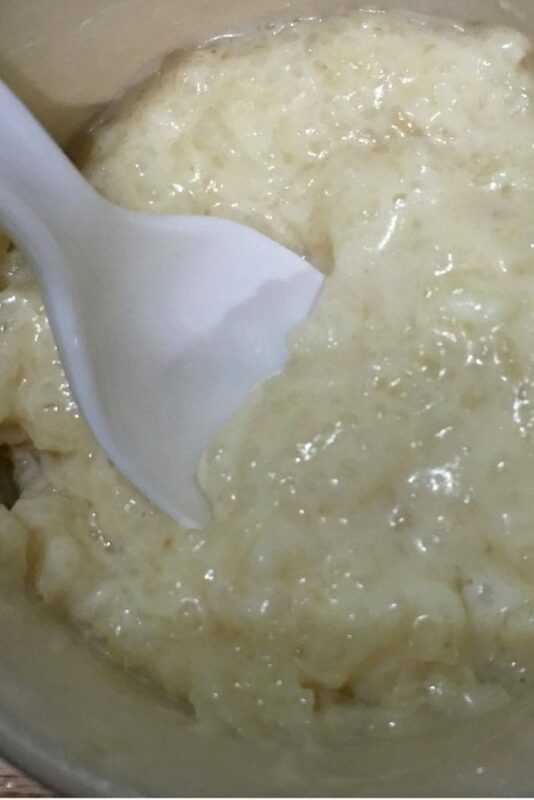 In fact the rice pudding was more creamy and rich than we make using any traditional methods. 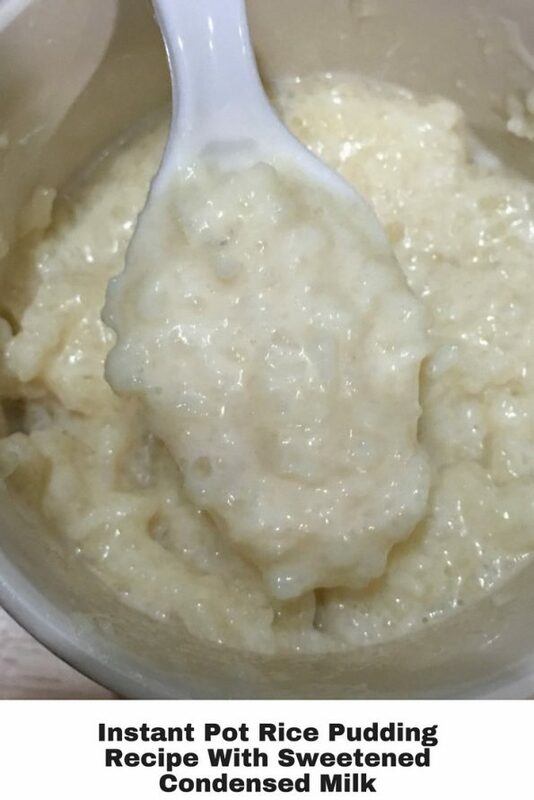 So here is how you can make this easy and delicious white rice pudding following this easy instant pot rice pudding recipe using sweetened condensed milk. Creamy, delicious, easy to make white rice pudding recipe using sweetened condensed milk in instant pot. Wash the white basmati rice and transfer it to the pot. Add water and milk also to the pot, stir the contents very well. Close the instant pot with lid in sealing position. 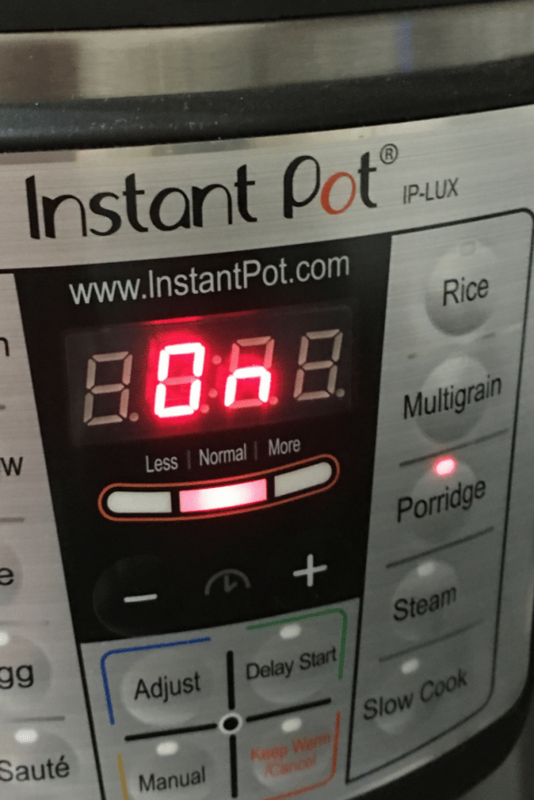 Set the porridge mode of instant pot, the program will automatically start cooking soon for 20 minutes (once you set the mode to porridge, you will need to wait for another few moments so the program will start automatically). After 20 minutes of cooking, the instant pot will beep which means its done. However make sure not to open the instant pot at this point. Press the keep warm setting and wait for another 10 minutes so the steam will naturally release. Once the steam is naturally released and the instant pot is ready to be opened you can see the vent has gone down, which will be up while there is still pressure inside the pot. So make sure to see the vent is down after 10 minutes of waiting to release the steam naturally. Once you have made sure the instant pot is ready to be opened, turn the lid to venting position and open the pot. Add the sweetened condensed milk to the pot and stir the contents very well (you may sprinkle a little cinnamon powder also if you wish). Serve the creamy, rich and delicious rice pudding for a wonderful dessert, you may also serve it after chilling. If you are a beginner with using instant pot, make sure to read all the manual and notes that comes with the instant for safety while cooking with the pot. 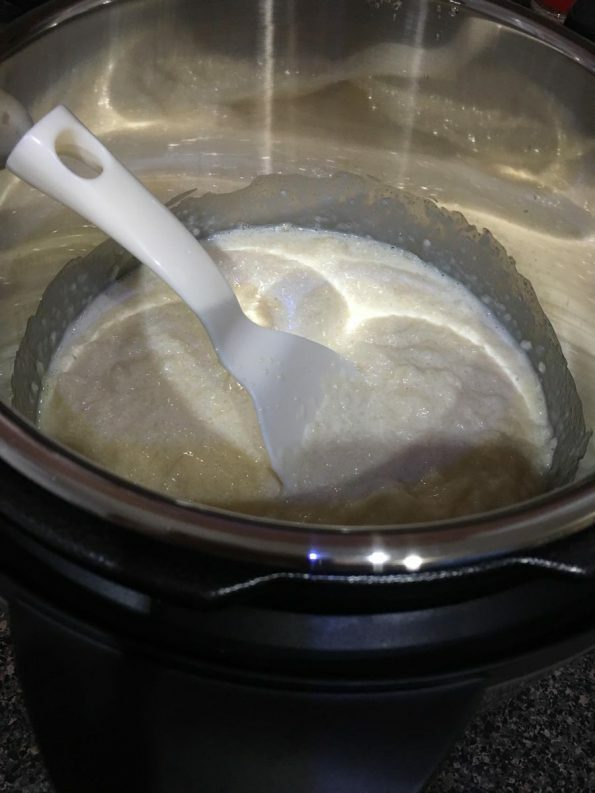 I used this 6 quart 6 in 1 multi use instant pot (you can also use this 6 quart 7 in 1 multi use instant pot with more features) to make 4 very generous servings of sweet rice pudding and if you are also using any of the 6 quart instant pot you can easily double the recipe if you wish. Both the above mentioned 6 quart instant pots have the ‘Porridge’ setting, which is what we use for making this rice pudding. I used this 11.8 0z (335 g) sweetened condensed milk, if you do not have that you can use any sweetened condensed milk of your choice. 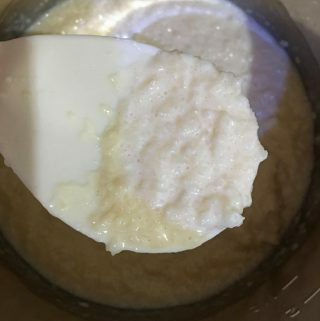 The rice pudding I made was very sweet, creamy and delicious, you may reduce the sweetened slightly if you wish, by adding a little more chilled milk (about 1/2 cup of extra milk) once you have prepared the rice pudding or you may reduce the amount of sweetened condensed milk and replace with little more whole milk if you wish. 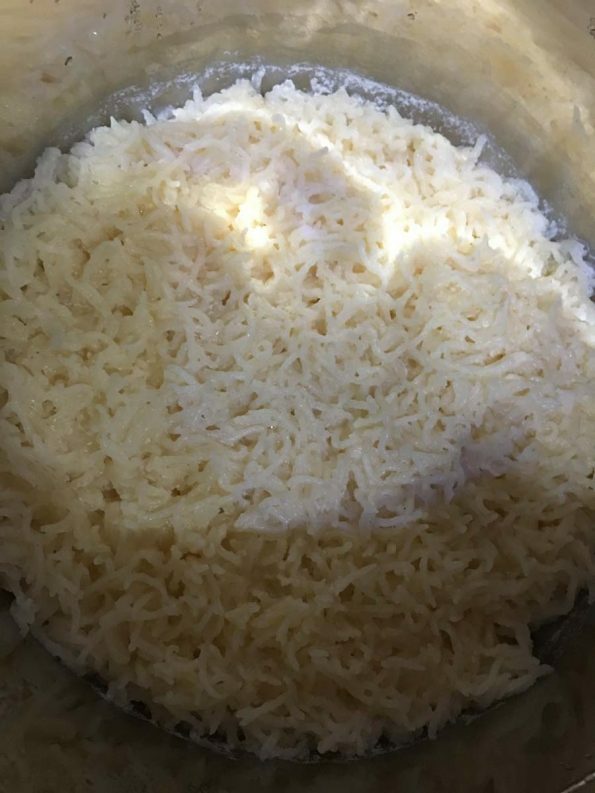 Make sure to use the exact amount of liquid to cook the rice in the instant pot for the same results, although you may slightly increase the amount of liquid in case you want to thin it out further. 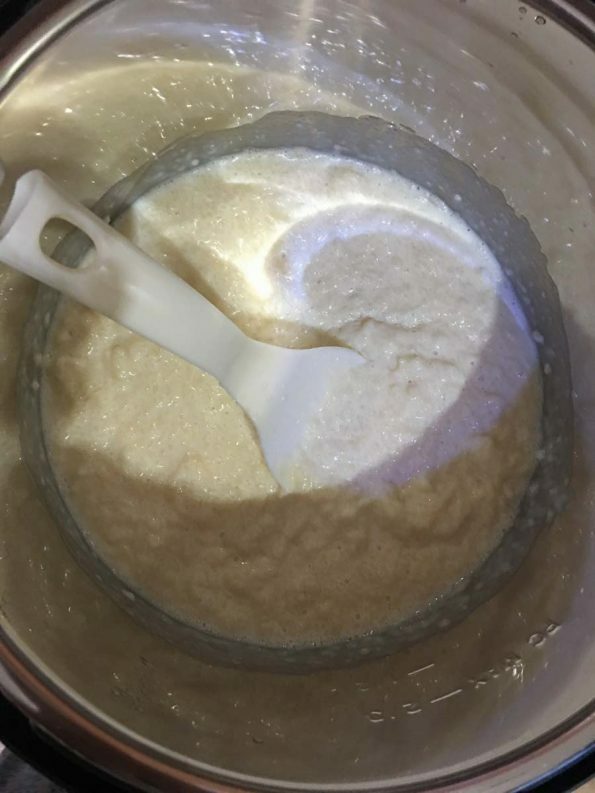 If you reduce the amount of liquid, there is a high chance of the pudding burning at the bottom, so make sure not to reduce the amount of liquid to cook the rice as mentioned in the recipe. 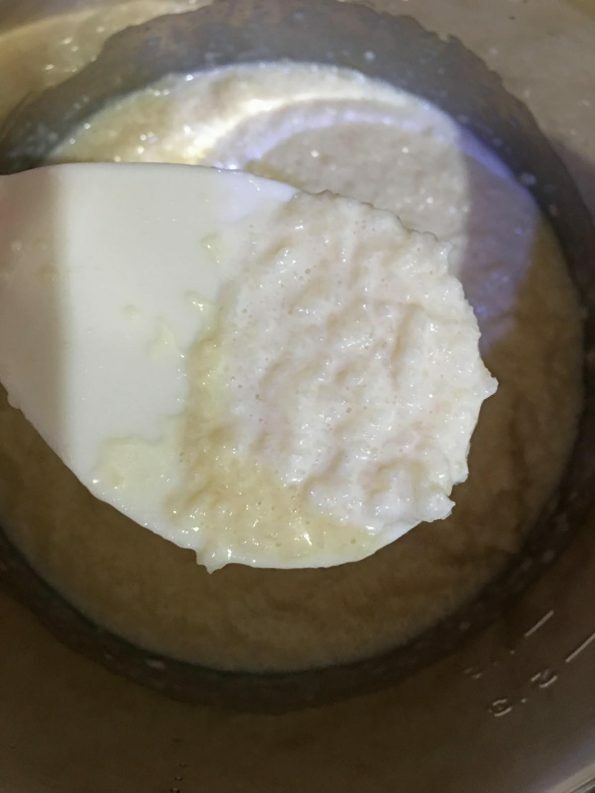 Hope you found this post on instant pot rice pudding recipe helpful in making easy and delicious rice pudding or rice kheer for dessert. Signup for receiving new recipes in your inbox!